Uttam Kumar Reddy, currently in New Delhi to discuss candidate selection with Congress high command, also said no list of any kind has been finalized yet. Hyderabad: Telangana Congress president N Uttam Kumar Reddy has appealed for calm among his party leaders and workers, particularly those aspiring for Congress tickets to contest the coming elections. He said an official list of party candidates will be announced on Friday, November 9. Telangana Congress president’s appeal for calm comes in the wake of protests at party headquarters Gandhi Bhavan here by some ticket aspirants and few others taking this battle to New Delhi to protest outside the Congress office where party leaders are grappling to conclude candidate selections as well as seat-sharing with TDP, TJS and CPI. Uttam Kumar Reddy, currently in New Delhi to discuss candidate selection with Congress high command, also said no list of any kind has been finalized yet. He said consultations and discussions were still on with respect to finalizing names of candidates. Incidentally, All India Congress Committee general secretary and in-charge of Telangana party affairs RC Khunita had said on November 1 in New Delhi that is party had decided the names of 57 candidates that day at a meeting of its screening committee. 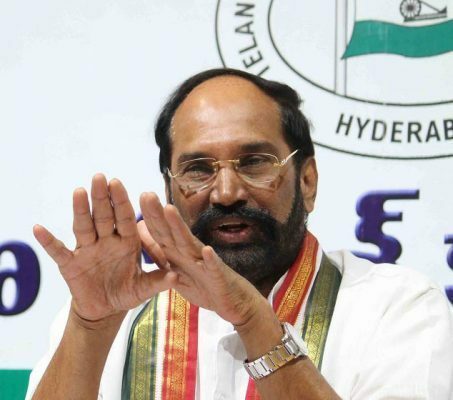 In a brief statement on Thursday morning, Uttam Kumar Reddy urged Congress’ poll aspirants not to believe reports circulating in some sections of the media citing names of some candidates. “Lists of names doing such rounds are made up, imaginary and not true,” he said. “Do not believe any news on candidate names. Please do not get agitated,” Uttam Kumar Reddy said.